Hector Rail AB, a Swedish rail transport company, has ordered another 15 Vectron AC locomotives. Delivery is planned beginning in the spring of 2018. All of the locomotives will have a maximum output of 6,400 KW and a top speed of 200 km/h. All Vectron AC locomotives are equipped with the European Train Control System (ETCS) as well as the ATC2-STM train control system. The locomotives will be used for heavy freight and timber transport in Sweden and Norway. To bridge short stretches without overhead power lines, the locomotives have a diesel power module with radio remote control on board. Hector Rail is an independent line haul provider for the European rail transport market headquartered in Sweden. The company provides transport solutions for heavy industrial products as well as intermodal freight and passenger transport for industrial companies. Hector Rail’s fleet includes 75 locomotives, and covers a total of over seven million train kilometers a year. Hector Rail initially ordered five Vectron locomotives from Siemens in July 2016. The order included an option for the 15 locomotives of this type that were just ordered. Second machine on the planning for Hector Rail is former Siemens locomotive 193 924. After that Siemens will deliver three new locomotives, equipped with a last mile diesel engine. On very short notice, Hector Rail will take over the freight services of the so-called "Trätågs-concept" from Rush Rail, which has become financially insolvent. Hector Rail has signed an agreement with Trätåg AB for this contract. The 5-year contract covers the transport of 2.5 million cubic meters of round wood from various timber terminals (such as Lomsmyren in Mora, Vansbro and Ljusdalto) to several mills in central Sweden (for example Kvarnsveden in Borlänge, Skutskär and Gruvön in Grums). Hector Rail expects to have the services up and running before Christmas. Hector Rail states it will use new locomotives for the Trätåg contract in the future. Locomotives that 'can operate without catenary at the terminals' and 'can be remote controlled'. Hector Rail currently has Siemens Vectron locomotives on order with these capabilities. Hector Rail publishing: Hector Rail has signed an agreement with Siemens for the delivery of five new locomotives of the so-called Vectron type. The locomotives are electric, designed for the Scandinavian market and equipped with so-called "Extra mile" function. This means that the locos have a diesel engine installed and that they are equipped with radio control. This allows efficient shunting in and out of terminals possible without having access to a separate shunting loco. Under the agreement, there is an option to buy a further 15 locomotives until 2021. The new locomotives are equipped with the new railway safety systems ETCS. Two locomotives are already built and will be delivered in 2016. These two locomotives are equipped with conventional safety systems and without extra mile functionality. The remaining locomotives will be delivered in 2017. The agreement means the opportunity to develop the fleet up to 20 locomotives. It is also possible to order the locomotives in a more international version which means that they can operate in Sweden, Denmark and Germany. 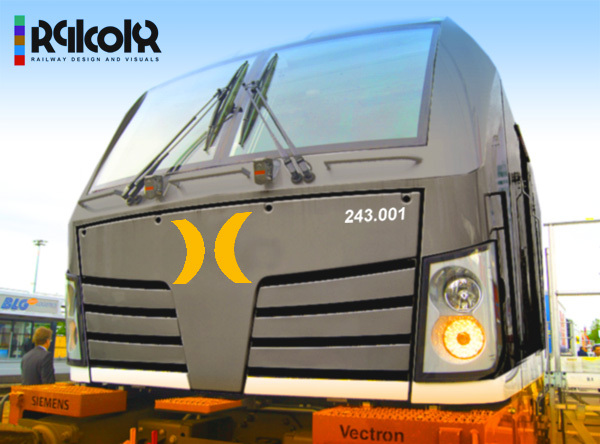 Vectron locomotives re-generate electricity to the power grid when braking. They can also haul heavier trains than previous generations of locomotives. This means that more payload can be moved in a train. This means that Hector Rail will take an important step towards innovation, efficiency and environmental compatibility. The locos have four axles, a weight of 90 tons, an installed power of 6400 kW and have a maximum speed of 200 km/h. Railcolor: The first two locomotives to be delivered this year are 193 923 and 924 that were in service by CargoNet during the past years.